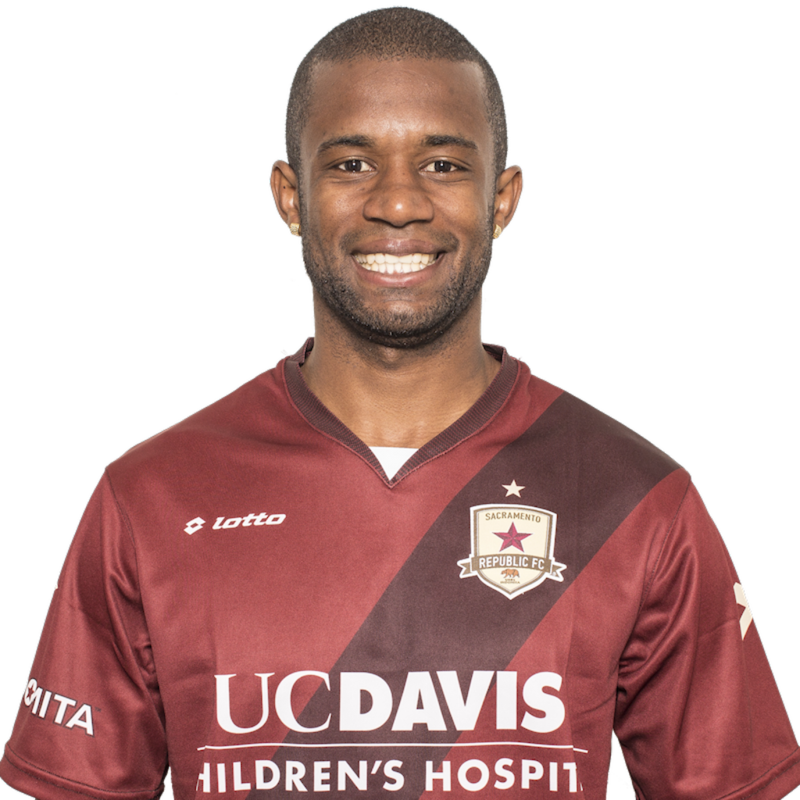 2015: Was loaned to Brazilian club Marília Atlético Clube after re-signing with Republic FC … Returned to Republic FC, playing 45 minutes against Orange County Blues FC on April 24 … Appeared in nine matches for Republic FC in all competitions, including eight USL starts … Recored his first point as a member of Republic FC when he assisted Rodrigo Lopez’s match-winning goal against LA Galaxy II on May 17. 2014: Appeared in 22 matches for Republic FC, starting 10 … Played in 931 minutes including 141 USL playoff minutes. 2013: Spent the first half of the year with Brazilian club Atlético Sorocaba, a top tier club in São Paulo … Appeared in 16 matches, all as a starter, and scored one goal … Was transfered to Philadelphia Union in September … Did not appear in a match for the Union. 2012: Was transfered from Atlético Mineiro to América Mineiro appearing in 5 matches … Was a part of América Mineiro’s runner-up finish in Mineiro 1 … In August, was transfered to Clube de Regatas Brasil (CRB) … Appeared in 10 matches, starting eight, for CRB. 2011: Started the year with Marcílio Dias appearing in 31 matches, starting 29 … In May, was transfered to Atlético Mineiro where he appeared in six matches. 2010: Appeared in two matches with Oeste FC. 2009: Started his career in his home country of Brazil appearing in six matches for Mogi Mirim. Born Gilberto Dos Santos Souza Jr., goes by “Gilberto” (ZJOO-bear-toe) … Also has the nicknames “Giba” (GEE-bah), which is short for Gilberto, and Juninho (joo-NEEN-yoh) because he is a junior … Enjoys playing tennis, ping-pong, going to the movies, bowling and playing beach soccer in his free-time … Favorite non-soccer sports are basketball and tennis … has an older sister, Aline and a younger brother, Ladison.